The Couple: A Pluridisciplinary Story asks two questions and endeavours to answer them: What is the couple? And what story are we talking about? Eric Smadja presents his view of 'the couple' as a composite, bodily-sexual, socio-cultural and psychic living reality in diverse and variable interrelationships, unfolding within a complex temporality. Ambivalently invested in by each partner, the couple is structurally and dynamically as conflictual as it is critical. Smadja sees the couple as situated at the intersection of several histories: socio-cultural; epistemological (the construction of this object of knowledge and of psychoanalytic treatment), "natural" (that of the cycle of conjugal life marked off by critical and mutative stages) and therapeutic (that of the suffering couple that will consult a specialist and undergo psychoanalytic therapy). 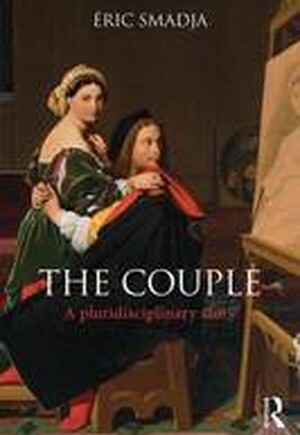 The Couple: A Pluridisciplinary Story follows the narrative division of these histories following a pluri- and interdisciplinary investigation combining historical, anthropological, sociological and psychoanalytic approaches. It enables the reader to structure the outline of a general, but irreducibly heterogeneous, picture of the couple, and by so doing demonstrates the development of new interdisciplinary concepts, in particular those of couple work and conjugal culture. In the final part of the book, Smadja presents a full case study and introduces new technical aspects of this psychoanalytic work. This unique approach to the study of the couple as a unit will appeal to psychoanalysts, especially those working with couples, psychologists, psychotherapists, psychiatrists, medical doctors, students and academics of psychoanalytic studies, anthropology and sociology. Introduction. The Couple's Historical and Socio-Cultural Envelope. Some Historical Points of Reference, Or the Construction of an Object of Knowledge and of Psychoanalytic Treatment. About Some Psychic Components Present within the Couple. Sketching a 'Natural' History of a Couple. Couple Work. The Suffering Couple, Their Request for a Consultation and the Psychoanalytic Work. Conclusion.